Calpol is a medicine that contains paracetamol and is used as a pain reliever, but, it also helps in reducing high temperature. Even though this medicine is used for a long time, we are still not sure how Calpol works. There is an assumption that it reduces the quantity of prostaglandins in the brain and spinal cord. Prostaglandin is a substance that increases in our body when trauma happens. Paracetamol decreases the level of prostaglandin and, even though the trauma exists, we are not in that much pain. Regarding the effect on the fever, paracetamol hits on the specific part of the brain, responsible for temperature of our body. 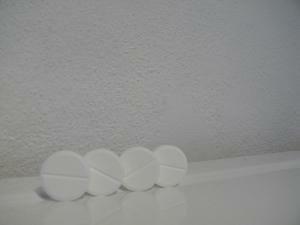 Paracetamol is effective as a pain-killer in headache, toothache, colds and flu. Calpol contains small doses of paracetamol, adequate for children. Calpol can be purchased as tablets that melt in your mouth, or you can dissolve them in water or milk. There are some important facts you should know when treating children with Calpol. You should be aware that the dosage and the preparations of this medicine depend on the child’s age. Also, do not use Calpol if you are already using other medicines that have paracetamol. If you give your child larger dose of this medicine, immediately contact your doctor. Overdose of Calpol can result in damaging the liver and the kidneys. If you treat a child with Calpol over three days and the symptoms are still there, you should consult a doctor. If there is a problem with kidney and liver function, use this medicine with precaution. This medicine shouldn’t be used if there is an allergic reaction to any of its components. Also, children under the age of six shouldn’t use Calpol fast melts and six plus suspension. Babies under the age of two months must not be treated with Calpol infant suspension. Phenylalanine is an ingredient of Calpol and therefore children who have phenylketonuria shouldn’t use it. Calpol can be used during pregnancy and breastfeeding. Although Calpol is a helpful medicine, it can cause some side effects. You should be aware that the side effects do not have to appear. The most common side effects are skin rash and diarrhea. There are other side effects of this medicine. In order to find out which they are, contact you doctor or read the leaflet. Do not use this medicine if you are using other medicines that have paracetamol, because you can pass the daily limit of paracetamol intake. Also, if you use Cholestyramine, wait for an hour after using paracetamol. If you use paracetamol for a long period of time, there is a chance of not being able to stop the bleeding because of the anti-blood-clotting effect that paracetamol has. Can Ibuprofen Stop Periods Temporarily? Never-ending Debate: Do Cell Phones Harm Your Health? Are Paracetamol allergy sufferers also allergic to Asprin? Any adverse reactions from taking paracetamol while on Lamictal? How much paracetamol is safe to take per day? Ibuprofen for 1 year olds? Could I be allergic to paracetamol? Two Paracetamols daily in the middle of the pregnancy?